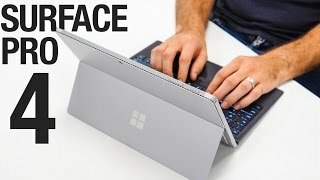 Microsoft’s Surface line up is quite popular when it comes to Windows tablets and the company has recently updated this series with the all new Microsoft Surface Pro 4. It’s lighter, thinner and features a bigger display than the Surface Pro 3. To learn more about the tablet including Microsoft Surface Pro 4 Nigeria price, keep reading. The latest addition to the Surface lineup is still same in size compared to the Surface Pro 3 but features a bigger 12.3-inch display showing 2736 x 1824 pixels resolution and 267ppi of pixel density. It’s thinner and lighter as well with 8.45mm thickness and 766g weight (Core m3 version). The pen that comes with the tablet now offers better writing experience and offers 1,024 pressure sensitivity. Moreover, both the Pen and new keyboard is compatible with the Surface Pro 3 as well. 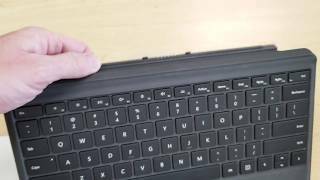 There is also the Asus Transformer T100TA you can check out. Under the hood, the tablet packs 6th generation Core m3/i5/i7 processor paired with 4/8/16GB of RAM. Even after packing these new specs, you get the same battery life and is capable of showing video playback for up to 9 hours. The new keyboard now offers better and laptop like keys and glass trackpad which is really easy and smooth to use. Other notable features in this tablet are: 128/256/512GB SSD storage options, Wi-Fi, Bluetooth, a full size USB 3.0 port, microSD card reader, 8-megapixel rear camera and 5-megapixel front camera. For those who are looking for a convertible laptop without waiting for the Microsoft Surface Pro 4 release date Nigeria, there is the Microsoft Surface Book and Lenovo Yoga Pro 3. The starting price of the Microsoft Surface Pro 4 will be around 329700 ₦ while the keyboard will cost around 49200 ₦. The Microsoft Surface Pro 4 release date Nigeria is expected in the last week of October or November, 2015. One of the biggest problem with the Surface Pro 3 was its too expensive price tag. So, we are hoping to see the Surface Pro 4 Nigeria price less than $799 in the upcoming tablet, about 3000AED or SAR (~6000EGP) The Microsoft Surface Pro 4 release date Nigeria is still a mystery at this point. Most of the tablet makers are trying to release a tablet-laptop hybrid in 2015 with a huge screen. To follow the likes of Samsung and Apple in this race, Microsoft is all set to go big with their upcoming Microsoft Surface Pro 4 tablet. The successor of the Surface Pro 3 is expected to feature a big 12-inch display. 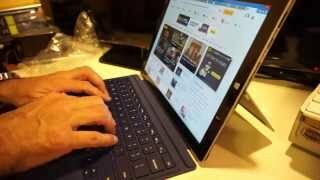 There are also rumors about Microsoft planning to release the upcoming tablet in three different versions. Continue reading to learn more about the Microsoft Surface Pro 4 Nigeria price, release date and specs. As mentioned earlier, the upcoming Surface Pro 4 tablet will be featuring a 12-inch display. There are also rumors suggesting that there will be a 10-inch and 14-inch version available as well. However, the 14-inch version will feature the same resolution and the 10-inch version will be coming with weak specs. The 12-inch version is expected to show 2160 x 1440 pixels just like its predecessor. However, the previous one showed only 216 ppi which we are hoping to see improved on the upcoming one. If you are looking for a tablet with giant screen, you can think about checking the Microsoft Surface Pro 4 Nigeria price. The upcoming Microsoft Surface Pro 4 is expected to sport Intel Core M processors inside. The Mini version will be featuring the same processor inside as well. The processor is good battery life-wise but it does not perform well compared to the i3 series we used in the predecessor. All the Surface Pro 4 version is expected to include a wide range of external ports including USB 2.0 and 3.0 ports. As these tablets are not available yet and most of these info are just rumors, we have to wait to find out how these processors actually work in real life. If you want a tablet that can also work as a laptop, you can think about waiting for the Surface Pro 4 release date Nigeria. The Microsoft Surface Pro 4 tablet is expected to offer more than 10 hours of battery life. 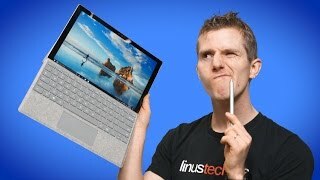 The Surface Pro 3 used to provide about 9 hours of battery life and we are expecting to see a slightly large battery in the upcoming one. One of the perks of using a tablet instead of a laptop nowadays is the extra battery life you get. So, as a laptop tablet hybrid, we are expecting something similar in the upcoming Surface Pro 4. The tablet will be running Windows 10 which is only available now as an early access preview. 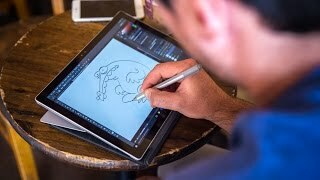 It will be interesting to see how the latest OS works in the tablet once the Surface Pro 4 release date Nigeria becomes available. There are rumors that the Surface Pro 4 will be sporting more than 8GB of RAM. 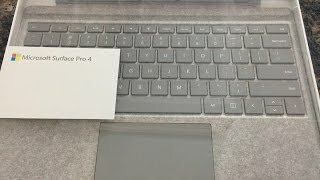 The surface pro 4 keyboard Tablets & EReader is manufactured by Microsoft and was added around August 2017 and is part of the Microsoft Surface Pro 4 Keyboard series. This version of the Tablets & EReader comes in Color : Black , Capacity : 64 GB , Connectivity : Wifi , Display Size : 10.6 Inch , Device RAM : 4 GB. The model comes in 7 other variations including combination of 64 GB Capacity , Black Color , Wifi Connectivity , 4 GB Device RAM , 10.6 Inch Display Size. The best price for the Microsoft Surface Pro 4 Keyboard in Nigeria is ₦ 72000 sold at PC Planet and available with free shipping and delivery within next business day. By comparing prices and buying from the cheapest store you can save up to 20% or ₦ 18000. 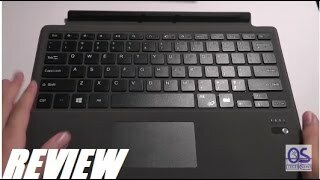 Surface Pro 4 Review: The Laptop of the Future! Price has decreased 5% from ₦ 69355 on 2017-12-10 to ₦ 65999 today.